When you are out in the wilderness you never know what might happen. Great fishing is often possible, but every now and then you might have a chance encounter with some livestock. Join us as Rick touches on the recent wanna cry ransomware in the news and Ryan and Eloy get deep into a discussion of legalizing marijuana and other controlled substances. We don't just want you to listen. We want you to become part of our dysfunctional family. 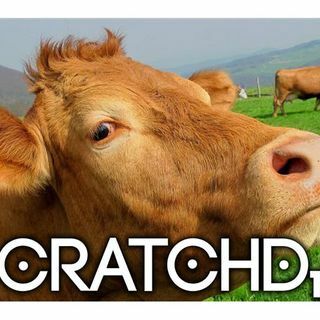 If you liked this ... Maggiori informazioni episode or any of the others, please consider joining the Scratchd Fans Page on Facebook. There is more discussion on there and everyone is welcome to join in the craziness. We'd love for you to join in. You can also find us on any of your favorite podcasting platforms including: Apple Podcasts, Stitcher, Google Music and many, many more.